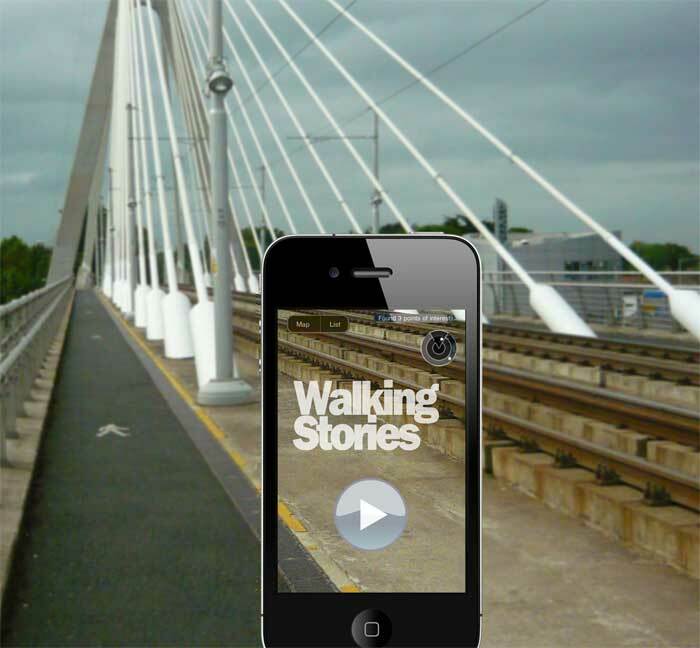 Walking Stories is a Soundwalk through Dundrum village guided by a location-aware smartphone app. Walking Stories asks what it is that connects us to the spaces we live and work in and invites us to share in the personal memories that create a place. Starting at the Carnegie Library the soundwalk unfolds in Dundrum village leading participants on a narrative trail which recounts the personal stories that connect people to specific locations. Walking Stories reveals a virtual world of memories, associations and connections that underpin a community. Walking Stories was created for Unfolding Narratives: Dundrum Open Submission Exhibition 2011 curated by Annette Moloney and Maeve Mulrennan and commissioned by Dún Laoghaire Rathdown County Council. A printed map and information leaflet is available at Dundrum Library. Walking Stories is a public artwork by Conor McGarrigle.